Noah, Bradley, Aaron and Fraser from year 8 are passionate about keeping the Point Cook community clean and safe for its residents. 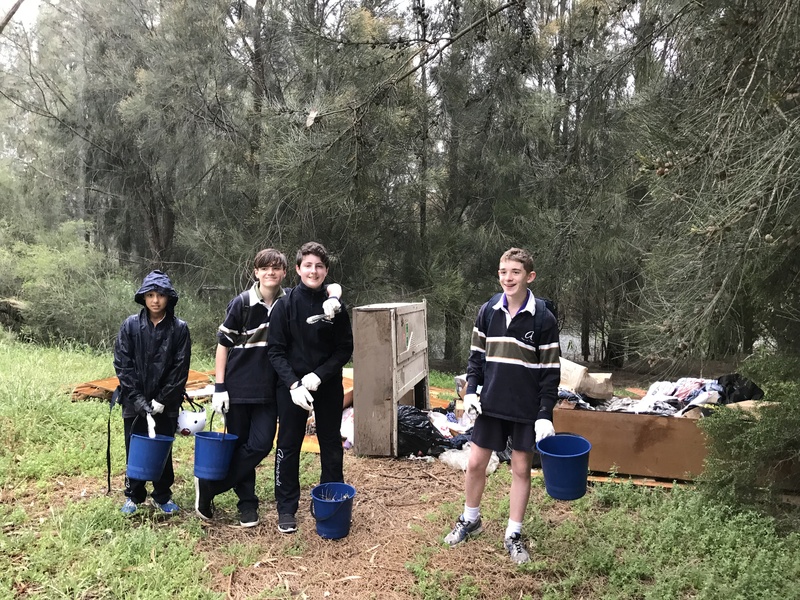 As a result these amazing students have been planning to go out into the community, in particular, Skeleton Creek, to clean up the rubbish that is dumped in the area on a regular basis. 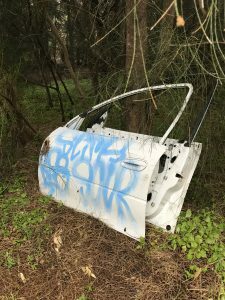 They took the initiative to contact the local council to work with them over the coming month to clean up this issue. Yesterday, the students were able to begin their action. Not deterred by the splatter of raindrops as they mounted their bikes and skate boards, the students were filled with purpose. 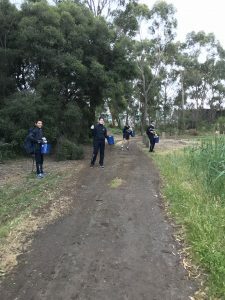 On arriving at Skeleton Creek, the clean up began… as did the rain. The boys valiantly persisted for some time, before they were grudgingly convinced that they should turn back, get out of the weather and return again another time. 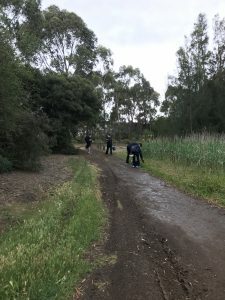 They did make headway with the clean up, taking care of the smaller rubbish and identifying 2 illegal dump sites for the council to take care of. 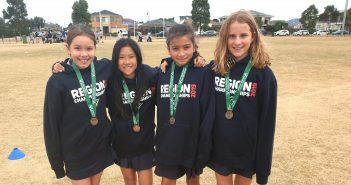 They will be returning to continue their efforts over the coming months. In the meantime, please remember, as citizens of our community, please take responsibility for your rubbish.